I'm quite partial to afternoon tea and I've had a few, but this one was special in more ways than one. My lovely friend Emmie from Carpe Diem Emmie won afternoon tea for two in an Instagram competition and decided to take me along with her as her date for the afternoon, which was super nice as we hadn't seen each other for a little while and not really had the chance to have a good natter outside of the regular blogger events. Emmie won a Bottomless Afternoon Tea for Two at The Exchange which is located in the cultural quarter of Leicester right opposite The Curve theatre. I've been to The Exchange many, many times. Whenever we watch a show at The Curve, The Exchange is always the place we end up for drinks for the rest of the evening so afternoon tea was a bit of a novelty. Shortlisted for 'Best Afternoon Tea Leicester' & Leicester Tourism Award 2016 I can honestly say it was one of the best I've had for lots of reasons. The tables were set ready and from what I could see ALL of them were reserved. 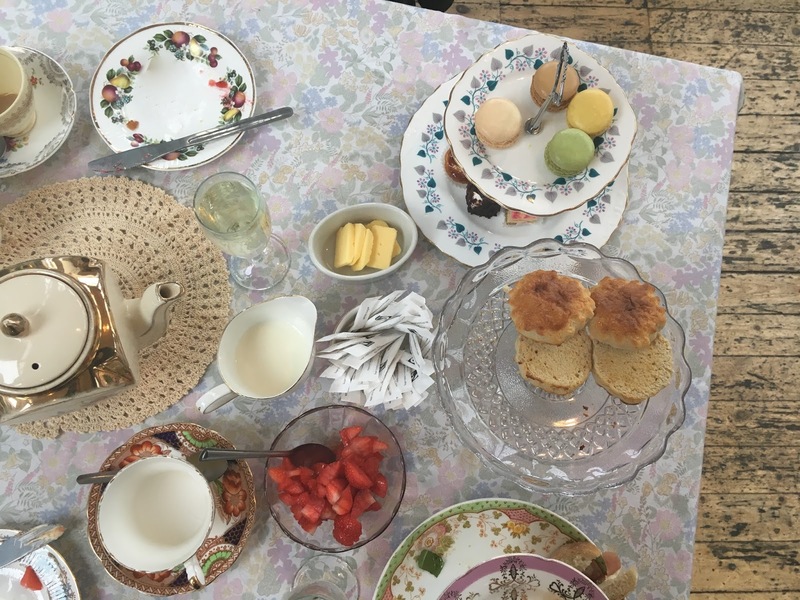 Laid with the prettiest floral tablecloths and vintage tea sets no sooner had we parked our bums on chairs our waiter was over to fill our glasses with some fizz. Hell, I wasn't complaining, and the sun was over the yardarm as the saying goes, so I was like 'give me all the prosecco'. 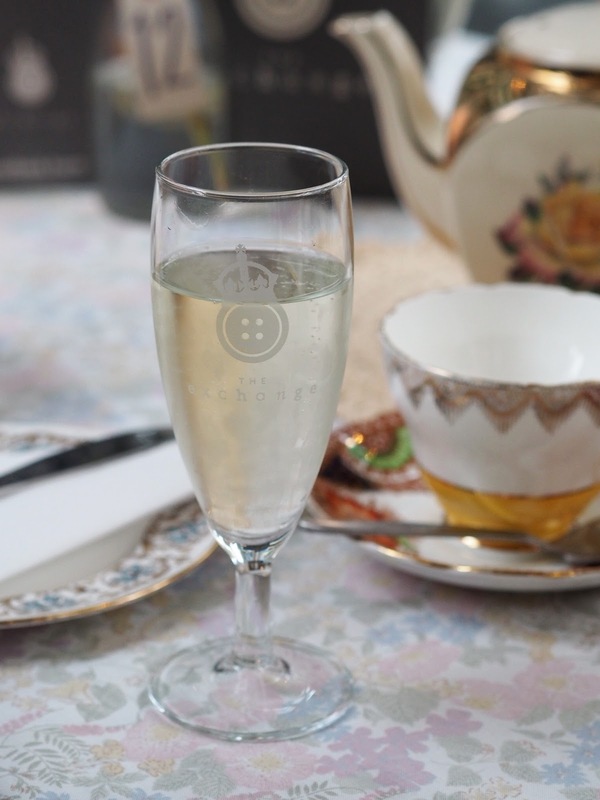 And of course we balanced out the prosecco with tea, everything in moderation and all that! 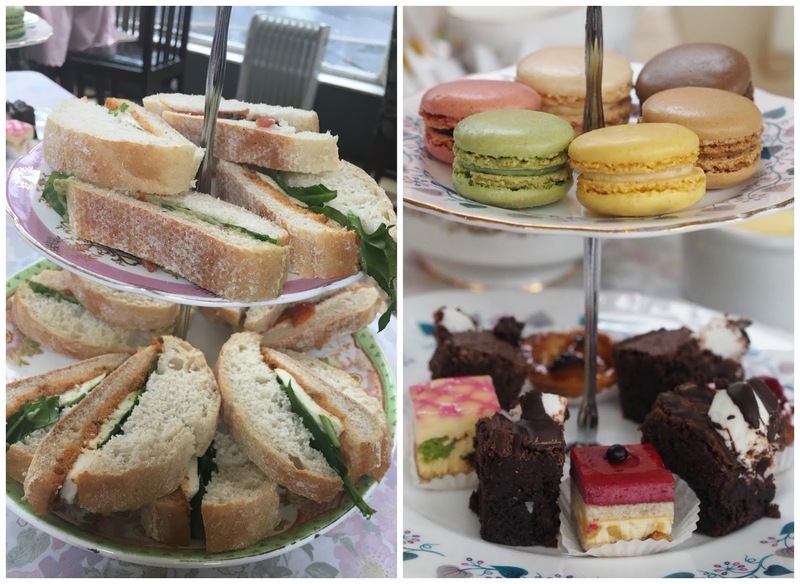 I loved the fact that the sandwiches weren't the average finger sandwiches you get with most afternoon teas, these were a little different. Ciabatta fingers with the tastiest fillings. Chill avocado, sundried tomato & rocket, mozzarella, red pesto & baby spinach and prosciutto ham, mozzarella, sun dried tomato & rocket. The chilli avocado was my favourite one by a mile and I think I actually ate all of those as Emmie is not the biggest avo fan. I am! The macaroons and petit fours were utterly delicious although we were already getting quite full after a lot of ciabatta and multiple glasses of fizz, so we were only able to manage a few those, we had to leave room for the scones. Oh boy, those scones...........again some of the best I've had. Some can be dry and hard but these were warm, soft fresh and as buttery as you like. I've dedicated a large photo to the scone topped with fresh strawberries for you to salivate over. I want to say at this point the service was brilliant and part of why the experience was special. At no point were our glasses or our teapot empty, we didn't have to ask for refills. Before we could drain it dry the waiter was there filling it up ready to go again, he'd obviously heard about me :) Sadly, we didn't catch his name (blogger fail) but he was friendly and engaging each time he stepped up to the table. Are you ready for the scone? 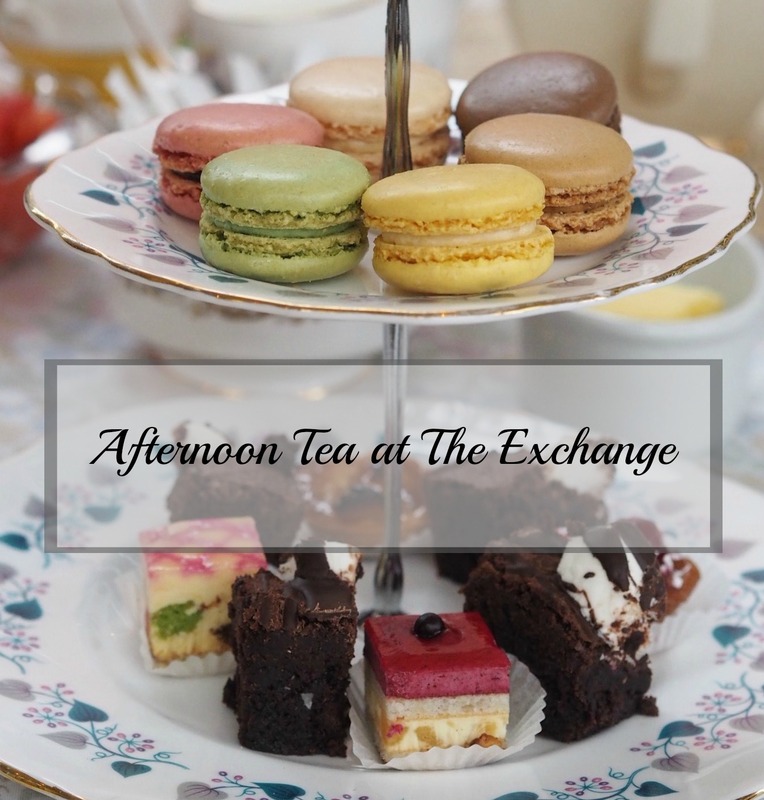 I loved my afternoon tea at The Exchange and catching up with Emmie. We parted company full of tasty treats and fizz and I then met up with Mr C to start a little bit of Christmas shopping, although we may have returned home with things for us rather than anyone else. Oops. Bottomless Sundays are available every week from 12.30-3pm at £25 per person but you have to book and they are very popular so get in quick. Emmie and I were saying it would make a lovely gift for someone that has everything, so if not for you maybe someone you know would love this as a special treat? If you want to find out more click HERE for their website and online availability. Our experience that day was spot on, the food, the drink, the service, they got it all right and I genuinely, genuinely would love to go back. Thank you Emmie for taking me along and to The Exchange for making it all sooooo good! Sounds gorgeous! You girls are soo lucky! Can I come and live near you please! This looks so yummy! I've really gotten into afternoon tea's this year and am looking forward to sampling many more in 2017! 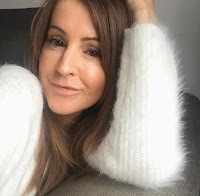 Blogger friends || Virtual or reality?